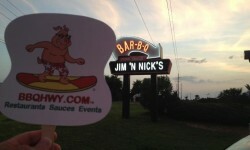 SurfPig enjoying the view on vacation in Destin, FL! 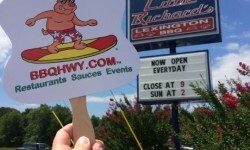 SurfPig travels the BBQHWY and stops in at Little Richard’s Lexington BBQ in Wallburg, NC. 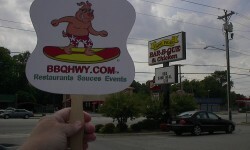 Follow SurfPig on Twitter @bbqhwy looking for great BBQ! 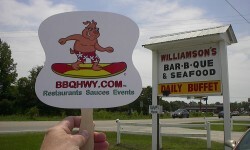 SurfPig stops by Williamson’s Bar-B-Que in Chadbourn, NC. BBQ sandwich and sweet tea.